Download CBSE Sample papers for Class 12 Maths and Marking Scheme PDF to understand the pattern of questions asked in the board exam. Know about the important concepts to be prepared for CBSE Class 12 Maths board exam and Score More marks. 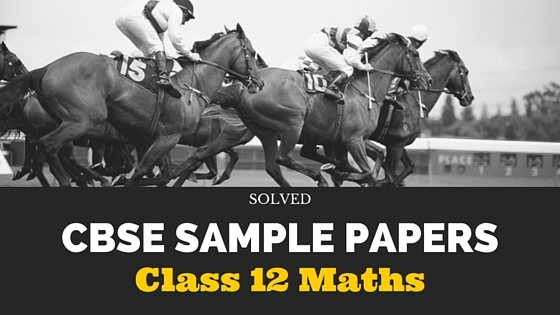 Here we have given CBSE Class 12 Maths Sample Papers. cbse.nic.in Sample Papers for Class 12 Maths are part of CBSE Sample Papers for Class 12. Here we have given Maths Sample Papers for Class 12. We hope the CBSE Sample Questions papers for Class 12 Maths, help you. If you have any query regarding Maths Sample Questions papers for Class 12, drop a comment below and we will get back to you at the earliest.